The Torridon area is situated on the West Coast of the Scottish Highlands. It is an area of outstanding natural beauty with centuries of history. This history is reflected in the Gaelic placenames for the bays, rocks, hollows and other natural features which abound in this special place. Below is the general location of the areas covered. To view the Loch Torridon placenames map , please click here to open a new page. 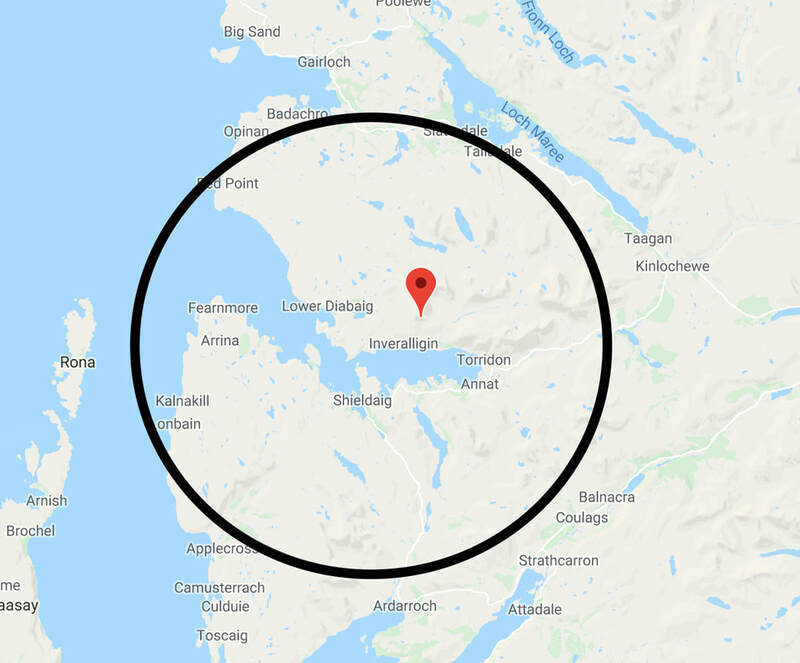 You can also view a map of the Gaelic placenames for the area around Applecross (to the South West of Torridon) by clicking here.